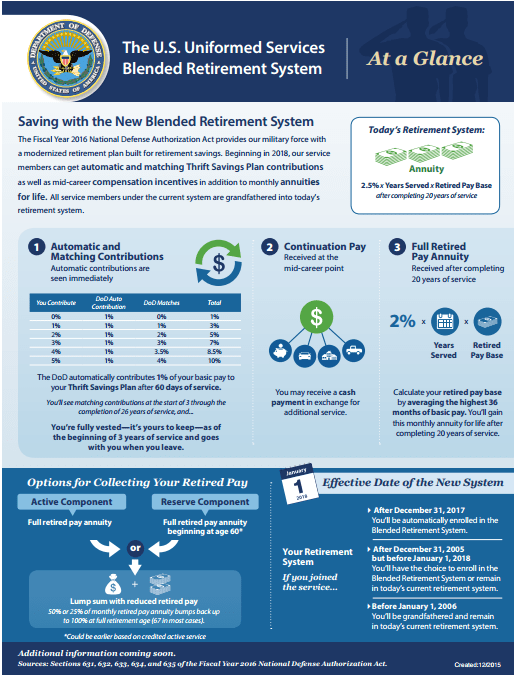 I will use this page to collect ideas, resources, and links to all things Blended Retirement System related. I will keep it continuously updated as new information comes out, so come back often. There is a lot of misinformation and lack of knowledge out there about the new plan coming in 2018. All of the links I provide have been vetted and confirmed by me to contain accurate information, but things are changing rapidly as the BRS implementation date of 1 Jan 2018 approaches. Stay informed and make your choice early in 2018 so you can get a full year of matching, if you decide to switch! Should I Opt Into the BRS? 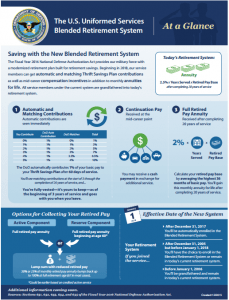 Why I Am Opting Into the Blended Retirement System (And I Think You Should Too) Why? Because 80% chance you won't make 20 years. 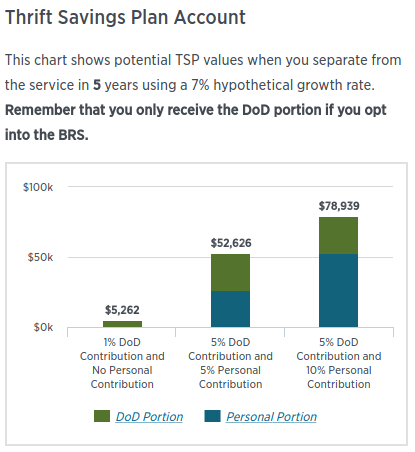 The Military Guide Discusses “Should You Switch to the BRS?” Answer: depends on if you stay for 20 years. The Military Guide discusses that there is a huge flaw in the way lump sum payments are calculated in the BRS at retirement. Don't take lump sum payments! If you find any other good resources please email me, use the contact page, or leave a comment below. Thanks!